Evolved Publishing presents a startlingly vivid portrayal of the 1960s, as seen through the eyes of two ill-fated college lovers. The story of their generation spills across some of the era’s most iconic settings: the legendary battleground of Khe Sanh; a Midwestern campus riven by dissent; and Altamont Speedway, scene of the notorious rock festival that ended the Sixties. 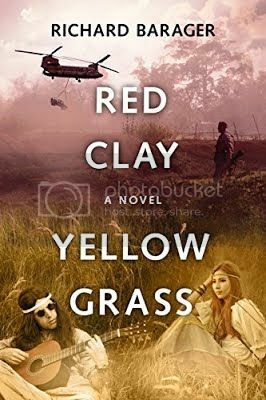 Red clay and yellow grass, a battleground and a rock festival... the senseless slaughter of Vietnam and the folly of utopian fantasy. David Noble is an orphan with a fondness for the novels of Walter Scott; Jackie Lundquist is a child of privilege, partial to J. D. Salinger and the importance of getting real. Their ill-fated college love affair implodes when David enlists to fight a war she opposes. 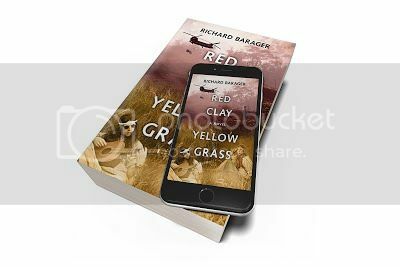 Angered by his choice—the marines instead of her—Jackie refuses to acknowledge his letters from Vietnam, where David is burrowed into the blood-red clay of Khe Sanh, one of six thousand marines entrapped by an army of North Vietnamese regulars. David survives the brutal siege, but returns home to find Jackie immersed in a counterculture world of drugs and militancy. The two lovers find themselves fighting on opposite sides of the defining issue of their time, as the New Left and the New Right battle for a generation’s political soul. To Jackie, the faltering war in Vietnam is a failure of national conscience; to David, it’s a failure of national honor. But neither her rise to fame as the antiwar movement’s alluring Radical Queen, nor David’s defiant counter-protest activities in support of the war, can extinguish their passion for one another. Their conflicted affair—and the Age of Aquarius itself—careen toward the mellow-yellow grass of Altamont Speedway, site of the decade’s last great rock festival: Altamont, the metaphoric Death of the Sixties, where honor and shame collide and tragedy awaits redemption. By day I'm a nephrologist, treating dialysis patients and kidney transplant recipients. By night I write fiction. I believe the two finest callings in life are doctor and writer, one ministering to the human condition, the other illuminating it, each capable of transforming it. I earned BA and MD degrees at the University of Minnesota and did my postgraduate training at Emory University in Atlanta and the University of California in San Diego. I live now in Orange County, CA. I am a champion of the healing power of literature and sometimes prescribe novels or short stories to patients to help them cope with illness. Fiction explores meaning in a way science cannot. Sometimes only fiction tells the truth.